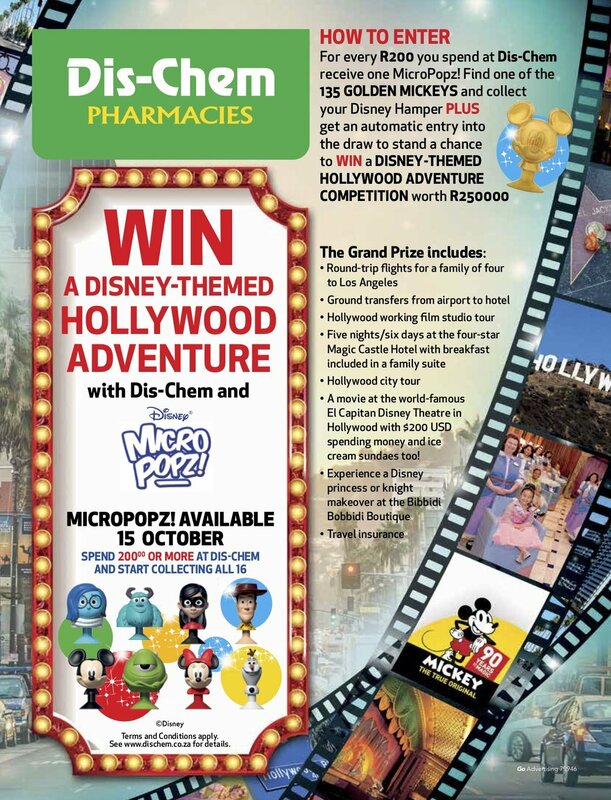 Win a Disney-Themed Hollywood Adventure with Dis-Chem and Disney MicroPopz! Courtesy of Micro Popz in South Africa who are offering a family of four a Disney holiday to Hollywood. A movie at the world-famous El Capitan Disney Theatre in Hollywood with $200 USD spending money and ice cream sundaes too!